b) keep up on all the stuff you need to know. For sure, most of us who have been around for a while were, at least for a while, shell shocked at all the changes that have swept the business in the last 6 years. Just think how much has changed since 1991 when digital backs became viable commercial tools (yet incredibly expensive). Read here for digital back history. Then DSLRs started to improve to the point where you could actually use one for a magazine job…. and then suddenly the 35mm film camera was toast… As far as I was concerned, 35mm was always marginal for commercial work. But now, a top Canon or Nikon or Sony can certainly compete with 21/4 film. Then the reasonable price DSLR showed up with enough pixels to actually get a decent photo. Now, of course we have the top Nikon and Canon and Sony machines with full frame sensors collecting almost as much data as a piece of E-6 film and even edging out 21/4 cameras….. Add the phenomenal image quality available from the new one shot medium format camera backs and you could say we have arrived… TA DA! But here is a problem because now if you are going to be a photographer you must also be a computer operator. And, frankly, I hate computers. They are so rigid sometimes (getting better). They need lots of care and feeding… And since I bought a digital camera I have gained weight sitting in front of a screen dinking with the endless controls you have… (good or bad?) A few years ago I would have been pretty skeptical if you told me I would own 25 500 gigabyte hard drives full of photos… So now we have a new problem…. managing all that stuff. 1) Foremost…. Organize your computer and it’s drives so you can find everything quickly in 2 or 3 different ways. I work with a large number of photographers and clients who have computers with photos on them yet the whole thing is a jumble. When we go to work on something they have no idea where anything is. So the real issue is here, Mac or PC, create an intuitive system of organizing where your stuff is. Ask a friend who knows nothing of your system to find something and see if it works. I think it’s tougher on PC’s. The user interface requires multiple layers of computer operating system junk before you can find your files and it just drives me nuts how DOS is so visible, and in the way all the time, whenever you want to do something… MAC’s operating system is invisible. You will never see it unless you go looking for it. 3) Store your photo files off your main hard drive. You need your main hard drive for temporary files and scratch disk space when using photoshop and other programs. 4) Invest in a cataloging program like Extensis or Lightroom so you can find things. Quick…. if you were to download something right now do you know where it’s going to go inside your computer? You need to know… find out! Most people I know with computer problems don’t know this basic stuff and they have nothing but trouble finding things. You DO have control over all of this. Take a class if you have to… but learn how to use the computer you have. Hire a high school kid… They know everything. Buy a MAC and your learning curve will be nothing compared to all the hacking you have to do with a PC. Yesterday I was at Kinkos trying to open some files, make contact sheets, and run them through a laser printer for a client… Their HP/Compaq equipment simply would not work. 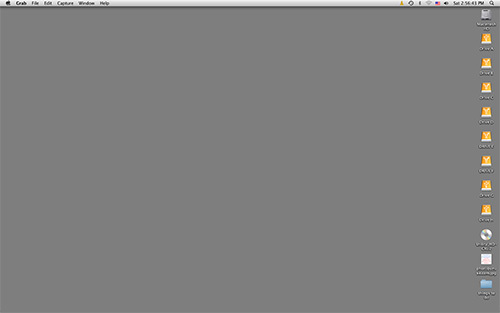 PhotoshopCS3 was running and it ground away for 20 minutes and I couldn’t see one file yet…. And, I am paying by the minute. These were 2 megabyte files by the way. Bottom line: You cannot do photowork on junk computers. Based on my experiences with several large organizations where there is an IT department and lots of computers (mostly for office workers) I would say this. Don’t let your IT people anywhere near your photo archive system. Keep it off line and away from them. Get your own internet hook up off the company grid. In case after case I have seen the IT department simply refuse to service the graphic artist or market manager’s needs for a photo archive and constant software updates or worse yet even refuse to allow them to exist. This totally destroys the ability of a marketing manager, PR manager, or graphic artist to run a creative department. Get away from __you know who_ trained and certified IT people… as far as you can. Oh yeah… back to the beginning… What are the two websites? Number One… you need to consult this guide for clients and photographers on a regular basis as things change. BestFlow This is short for dp Best Work Flow.org. the dp is from the same guys who have been doing camera reviews for years dp (digital photography). What you will find at these websites may seem complicated at first but it isn’t that bad. Just navigate them based on a job by job, need to know basis… You will figure it out. Patterns and preferences for how you want to work (or need to work) will emerge.